From North: Traveling along the A14 Adriatica, take the Cesena Nord exit and merge onto the E45 (towards Perugia-Rome). Take the firts Umbertide exit, tirn left towards Gubbio. After 3,8 km you will find a white road on your right: you’re arrived. From South: Traveling along the A1, take the Orte exit towards Terni-Perugia. Take the E45 (direction to Cesena), take the exit for Umbertide-Gubbio, then immediately turn right towards Gubbio. 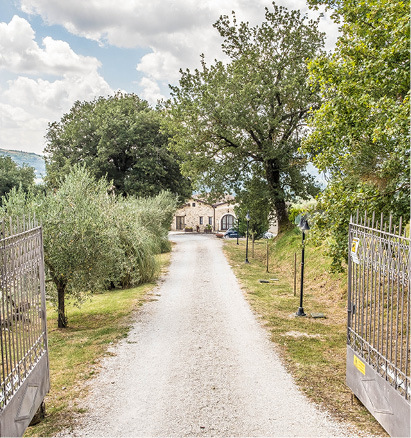 After 4,9 km turn left towards Civitella Ranieri and after 2,3 km you will find a white road on your left: you’re arrived.